The University of Maine System Board of Trustees convened in Presque Isle Monday, formally approving UMPI’s new agricultural program and hearing strong support for a new collaborative nursing program with UMFK. PRESQUE ISLE, Maine — The University of Maine System Board of Trustees convened in Presque Isle Monday, formally approving UMPI’s new agricultural program and hearing strong support for a new collaborative nursing program with UMFK. The University of Maine Presque Isle started offering a bachelor’s degree in agriculture for the first time this fall. The agriculture program has been in the making since 2015, when UMPI added a sustainable agriculture concentration within the environmental science program. The program features courses covering the spectrum of agricultural science and business, and includes opportunities for internships and research. It’s aimed at offering an agriculture program is the heart of northern Maine farm country and helping support Aroostook County’s evolving agriculture industry. “We are highly interested in advancing farm practices and agricultural jobs in Aroostook County,” said Noah Winslow of Caribou-based Irving Farms Marketing in a press release. Irving Farms sells fresh, processing and seed potatoes, and Winslow is teaching an agri-business class for the new program. 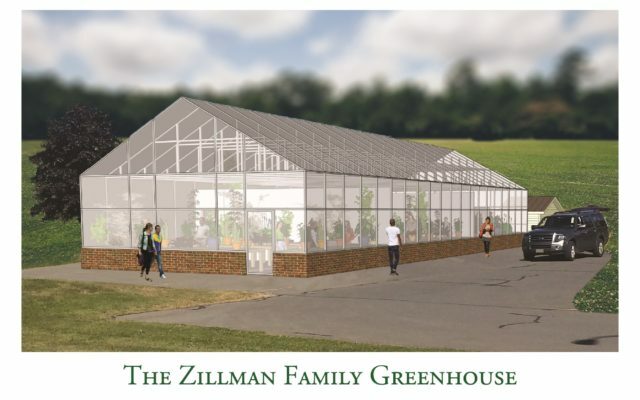 UMPI’s new agriculture program comes along with plans for a new 2,400-square-foot research greenhouse. Construction would tentatively begin in April 2019 and finish in August, and so far the university has raised $575,000 toward the project, according to executive director for university advancement Deborah Roark. During its meeting Monday, the UMS Board of Trustees also heard strong support for a new nursing collaboration between UMPI and the University of Maine Fort Kent. The new partnership allows students to earn a four-year bachelor’s of science degree in nursing from UMFK entirely at the UMPI campus. UMFK has around 600 students in its nursing program, comprising more than half of the school’s student body. 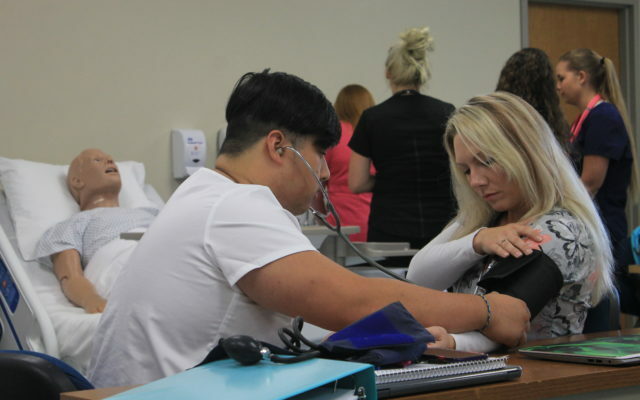 The first nursing cohort at UMPI this fall currently has 20 students. The partnership is aimed at addressing the “nursing cliff,” said UMFK president John Short. According to an analysis of statewide data, Maine will have a shortage of 3,200 registered nurses by 2025, and the state will need to increase the number of new nurses by 20 percent each year to replace those who are retiring. Bill Flagg, public relations director at Cary Medical Center in Caribou, said at Monday’s meeting that there has also been a huge need for nurses going back to 1979, when the hospital first opened. University of Maine leaders are asking state voters to approve a $49 million bond package in November that would help fund infrastructure projects around the UMaine system, including $7.4 million for nursing classroom and laboratory upgrades at UMFK and UMPI. At UMPI, the upgrades would include a permanent nursing lab space with four hospital suites, medical monitoring equipment, and new mannequin patients.